Buying in bulk does not work for me – or anyone else living in a single household. But there are times when I’d like a bit of sour cream to top some chili, or a baked potato, or for a bean and cheese quesadilla. So what to do with the leftover sour cream? 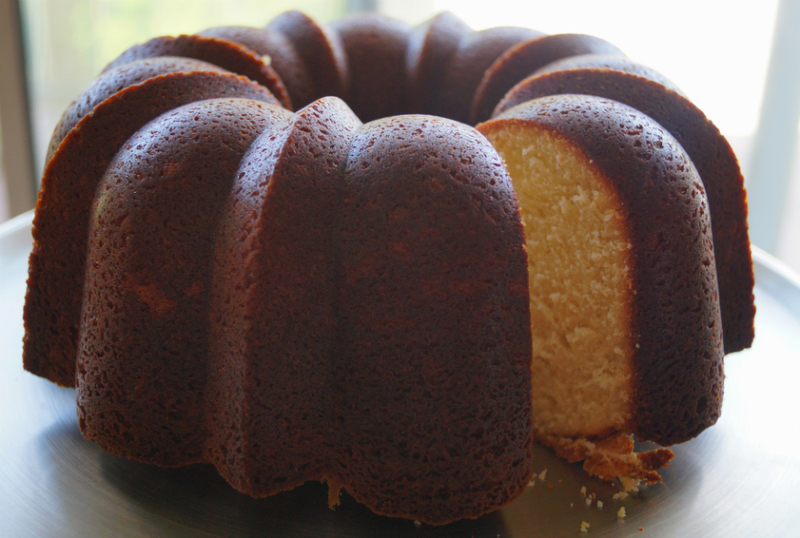 Bake a cake! 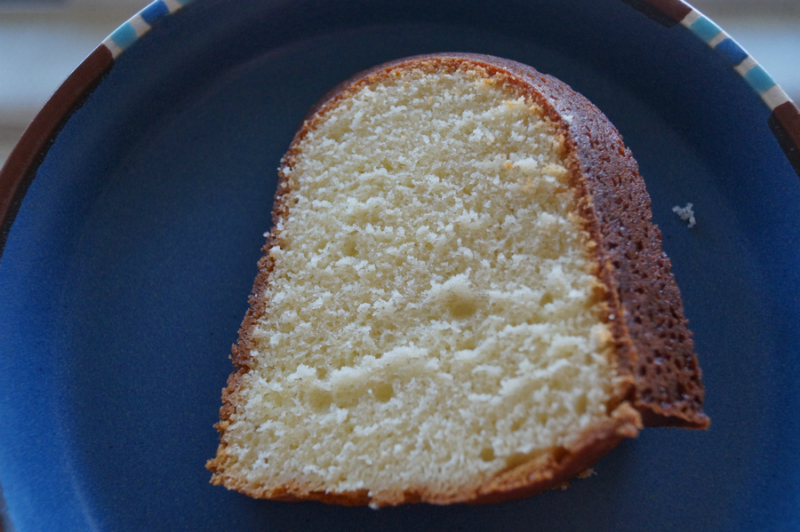 Recipes for sour cream pound cake are all pretty similar. And they all call for 6 eggs. Fortunately, I happened to have that many on hand when I decided on a whim to mix up my leftover sour cream into a cake. After perusing recipes online, I liked this one the best because it incorporates the sour cream early on in the batter, which simply makes it easier to work with. If I make this recipe again, I might lower the baking time a tad – the outer crust was just a bit darker than I would have liked. I didn’t really solve my leftover problem, however, because this creates a giant cake (serves 20!). But my newsroom colleagues were delighted when I sent out an e-mail the next day inviting people to stop by my desk for “second breakfast” or “elevenses.” It made the morning deadline rush just a little sweeter. 2. Grease and flour a 10-inch tube pan. Set aside. 3. In a large mixing bowl, cream the butter and sugar together. Add the sour cream and mix until incorporated. 4. Sift the baking soda and flour together. Add to the creamed mixture alternating with eggs, beating each egg 1 at a time. Add the vanilla and pour batter into the greased tube pan. Bake for 1 hour 20 minutes. 5. Let cool 15 minutes in the pan on a wire rack before turning out of the pan. Cool completely before serving. At our house, we love the idea of a hobit’s second breakfast – in fact we joke about it all the time! 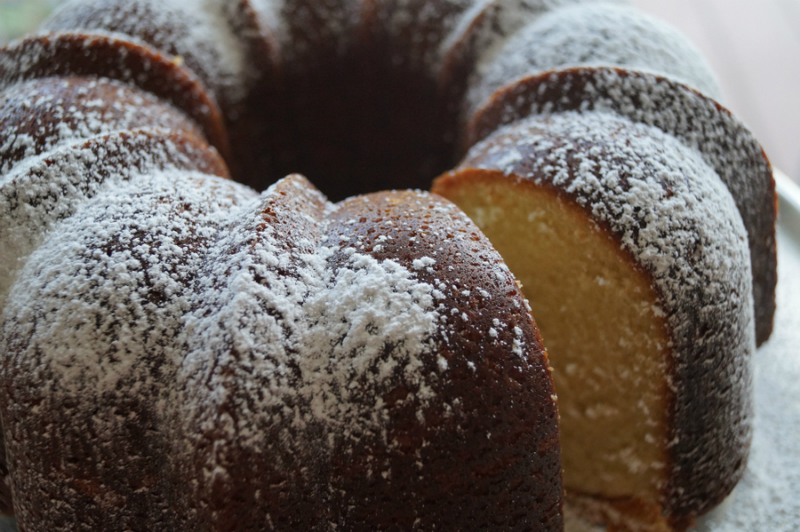 Thanks for sharing the sour cream pound cake recipe. I was thinking about making one the other day but knew I would have to hunt down a recipe. I’m pinning this one on Pinterest! Great to hear you practice “second breakfast”! And this recipe is definitely a keeper. The “second breakfast” is a great habit to have!